With a twist ending that I don’t think anyone was expecting, this month’s issue of Angel and Faith was saved at the last minute from being another ho-hum storyline. We know the arc well by now. Angel wants to resurrect Giles and will do anything to accomplish that feat. Faith is sticking around to watch and wait until Angel crosses the line and then it’s up to her to pull him back, perhaps permanently. The battle that began this issue was to get the Crown of Coils. This handy instrument can regenerate dead flesh, as was demonstrated before our eyes. The only downside is that it can’t really bring the body back to life, since the soul is still missing, so the whole “bring back Giles” plan is going to take more parts. Since his essence is scattered all over, Angel’s putting together a jig saw puzzle that will hopefully end up with a fully-functional and living Giles. 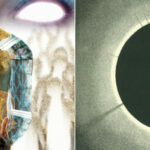 However, they’re going to need the Watcher’s body to put the plan in motion. When Angel and Faith dug up Giles’s body, they did not find a rotting corpse. Instead, they found an empty casket and a whole lot of questions. Where is Giles? Who took him and when? The aunts blame Angel for this, but it isn’t fair to pin it on the vampire. The grave was undisturbed, so Giles went missing before the casket was buried. Still, who did it and why remained an unanswered question. As all that was unfolding, Faith got paid a visit by her fellow Slayers. The girls came carrying the dead, frozen body of a Slayer named Marianne. She was a good woman, a person who provided a home to those who had none, but her life was cut short by Drusilla after Angel let her go. They’ve heard the rumors, the talk of Angel and his attempt to resurrect Giles, so they want him to apply the magic to Marianne. They refuse to listen when Angel tells them it won’t work. Giles had magical ties, but Marianne did not, so it’s out of his hands to bring their friend back. The Slayers also have to deal with Faith’s betrayal. The lies that Faith has been spouting, all the while helping Angel and hiding him away, does not sit well with the girls. She has made her choice and it’s not for Slayers, so they all have to live with that decision. The Slayers will find their own way to resurrect Marianne, without Faith or Angel’s help. And this is where the twisty-twist came in. The girls head to Guildford to meet with a mysterious stranger that claims to have the power to resurrect the dead. We don’t get to see him until the very last panel, but the reveal was more than worth it. The whole time Angel’s been trying to resurrect Giles, it seems that the Watcher has accomplished the feat on his own. Giles is alive, but is it really the man we knew? We’ve got to wait and find out! 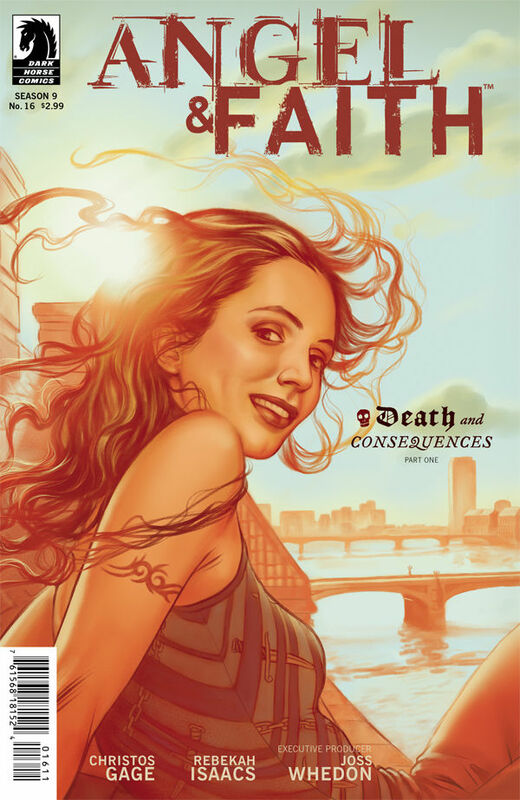 My Angel & Faith #16 review is up on @Fandomania http://t.co/giILHvLp Blah issue made better w/ twist ending. Hope it sustains the awesome. I would suggest that you shouldn’t ‘spoil’ the ending so clearly in a review, it really isn’t fair to just reveal the twist with no warning. I think you should edit your review. I’m sorry you feel that way. I did start off the last paragraph with a warning about the twist ending and gave two more sentences of lead-up, which I feel was enough to allow readers to turn back if they didn’t want to know. To avoid spoilers I would suggest reading the review after you have read the issue.